The nonlethal 40mm crowd dispersal round provides friendly forces the capability to enhance force protection by stopping, confusing, disorienting, or deterring a potential threat without using deadly force. 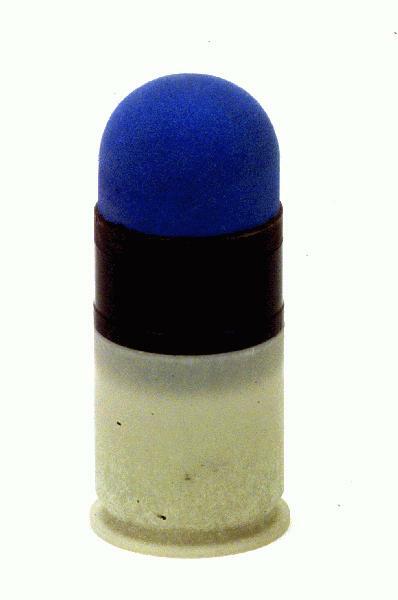 The nonlethal 40mm crowd dispersal round is intended to be a direct fire, low hazard, non-shrapnel-producing device which will produce non-lethal effect upon impact. The nonlethal 40mm crowd dispersal round will provide field commanders and soldiers an effective non-lethal capability which increases their effectiveness. This requirement relates to all DOD components and may have applicability to United States Coast Guard and other Federal Government and local law enforcement agencies.